Richer Nations have higher intelligence, colder winters & lighter skin color. GDP (national wealth) correlates strongly with Intelligence of a nation. GDP also correlates negatively with average high winter temperature & skin color. Source: Wikpiedia:IQ_and_the_Wealth_of_Nations Barber (2005) found that national IQ was associated with rates of secondary education enrollment, illiteracy, and agricultural employment. The effect on illiteracy and agricultural employment remained with national wealth, infant mortality, and geographic continent controlled. Race and Intelligence research by Richard Lynn shows a vast support for theses similar to Rushton’s, that led to my writing this prior blog article Race differences in intelligence: how research changed my mind to overcome the “all races are equal” dogma. and other blog articles in the category racial-differences-intelligence. Richard Lynn extends conclusions from the individual sphere to National Wealth. Lynn might not be the last word or the total truth. His ideas are extremely important and very relevant. But his research is so extremely politically incorrect, that others don’t dare to follow his line, to really analyze his research, to prove or disprove it. The race and intelligence relation is clearly established but is taboo. Discussion about racial discrimination and quotas would be very different if racial differences were taken into consideration. Richard Lynn correlating the fate of entire nations and continents to IQ, that is even more astounding. 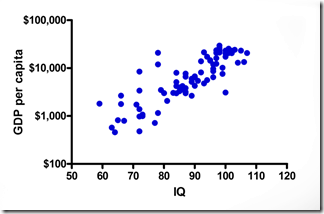 In US, average IQ for African Americans (85), Hispanic (89), White (103), East Asian (106), and Jewish Americans (113). 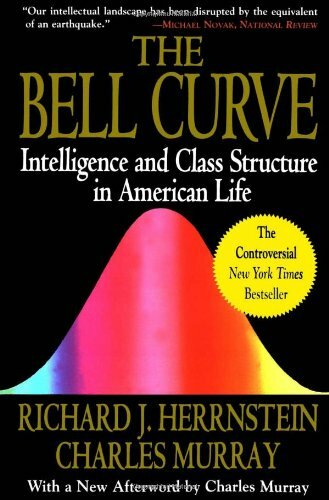 As the title implies, Richard Lynn’s new book builds on Herrnstein and Murray’s (1994) The Bell Curve. The theme of the book is an examination of whether the same type of racial hierarchy in IQ and socio-economic status that Herrnstein and Murray documented in the US is present in other parts of the world. Herrnstein and Murray found that the average IQ for African Americans (85) is lower than for Hispanic (89), White (103), East Asian (106), and Jewish Americans (113). 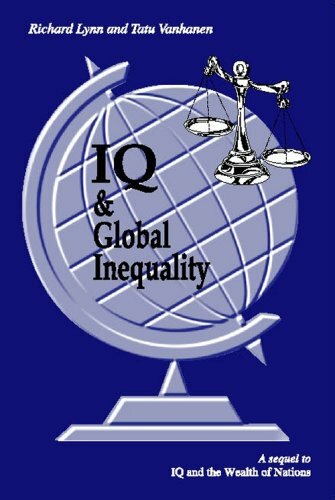 Lynn shows in detail that similar racial IQ/socio-economic hierarchies are present within Africa, Australia, Brazil, Britain, Canada, the Caribbean, Latin America, the Netherlands, and New Zealand. Throughout the world, Europeans and East Asians (Chinese, Japanese and Koreans) average the highest IQs and socio-economic positions, while the lowest averages are found among the Aborigines in Australia and in Africans and their descendants. Intermediate positions are occupied by the Amerindians, the South Asians from the Indian subcontinent, the Maori in New Zealand, and the mixed race peoples in South Africa, Latin America, and the Caribbean. The same pattern is found on multifarious social and life history indicators such as educational levels, earnings, health, accidents, crime, marriage, fertility, and mortality. 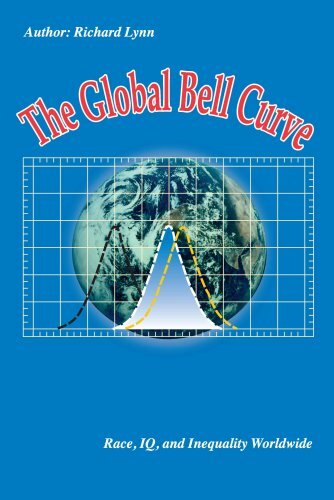 PFS 2010 – Richard Lynn, On Human Diversity: The Global Bell Curve. Updates and Critical Replies from Sean Gabb on Vimeo. PFS 2010 – Hans-Hermann Hoppe, Richard Spencer, Marco Bassani, Paul Gottfried, Richard Lynn, Discussion, Q & A from Sean Gabb on Vimeo. A famous, historically important book. So important, that US President Bill Clinton condemned the book without having read it. Don’t miss the blog articles in category racial-differences-intelligence and the post Race differences in intelligence: how research changed my mind to overcome the “all races are equal” dogma. Previous Previous post: "Mother’s baby. Father’s maybe." Mandatory DNA testing at birth can instate gender equality.